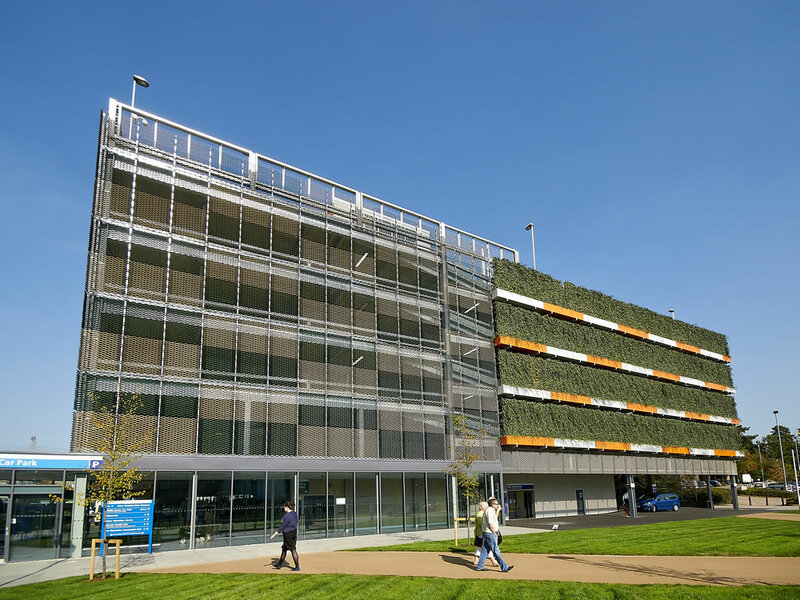 A six storey steel framed car park providing 700 spaces on the Stevenage site. The elevations feature an innovative 150m² living-wall created from native climbing evergreen species. 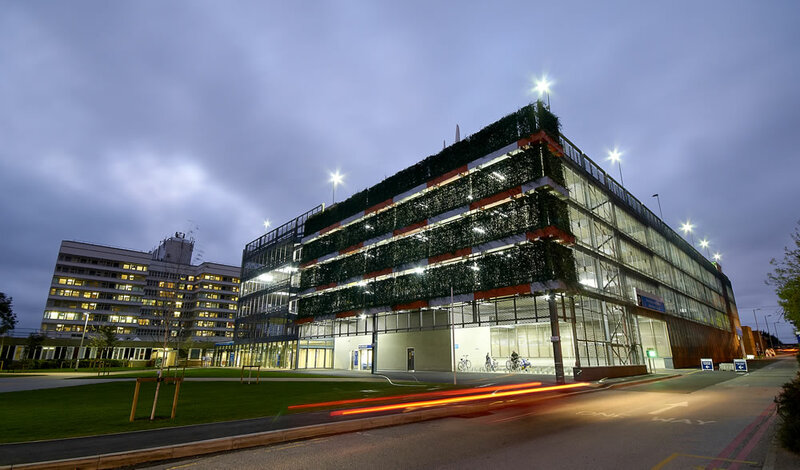 The planting is irrigated from recycled rain water, and helical wind turbines provide electrical power for the building’s lighting and small power requirements. 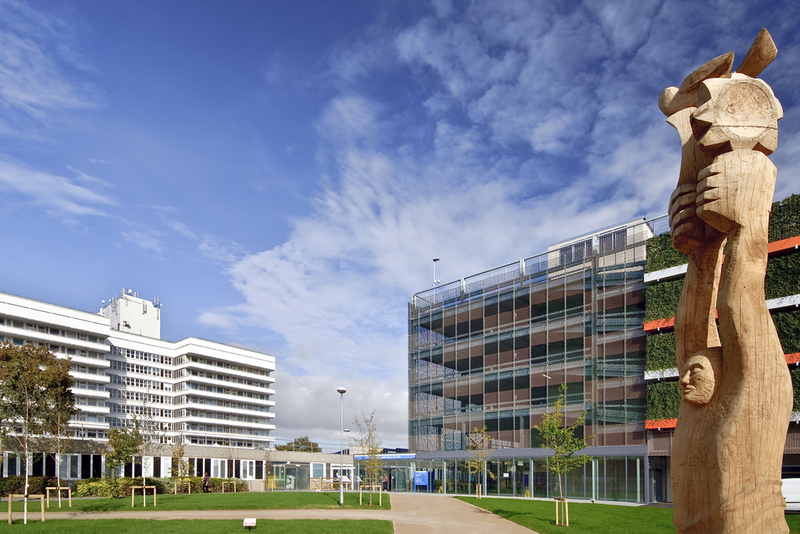 The scheme includes a new public open space to the front of the hospital to which the new car park with its living-wall forms a dramatic backdrop. The scheme was procured via a Design Build Operate and Finance route with Vinci Park.